Chef Sawyer is back this week with a layered dessert he has been wanting to try for a while. 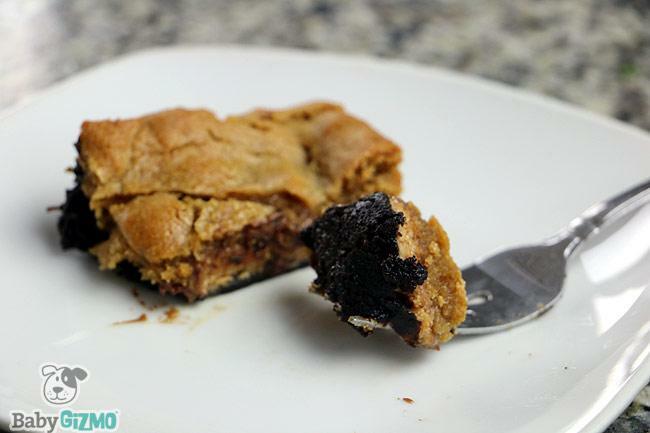 He wanted to make a cookie bar that combined some of his favorite cookie (and candy!) flavors and I think we hit a homerun with this one. These Double Chocolate Peanut Butter Candy Cookies are super easy to make and only need 3 ingredients. Yep, super kid-friendly but everyone will love enjoying this dessert. If you are a fan of chocolate and peanut butter (and who isn’t really?!? 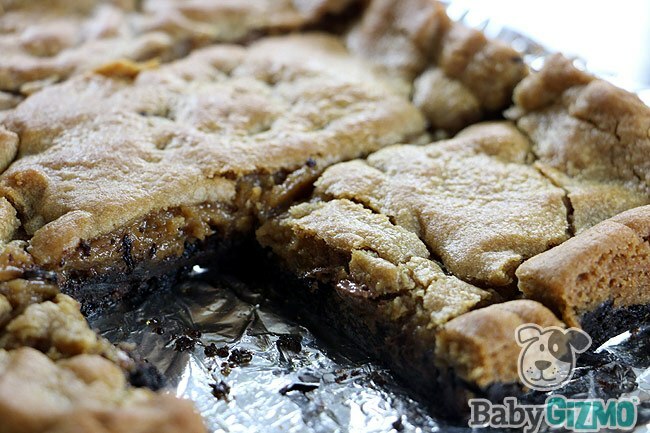 ), these cookie bars are amazing! They even include everyone’s favorite Reese’s Peanut Butter Cups. Sawyer shows you step-by-step how to make these delicious cookie bars in this week’s “Cooking with Chef Sawyer” video episode. We hope you enjoy it and try making this recipe yourself with your kids. 2) Lay out a large piece of wax paper and sprinkle with flour. Carefully remove 9 Dark Chocolate cookie squares from the package and slightly flatten with a rolling pin on the wax paper. 3) Transfer the cookie square to an 8×8 baking pan. 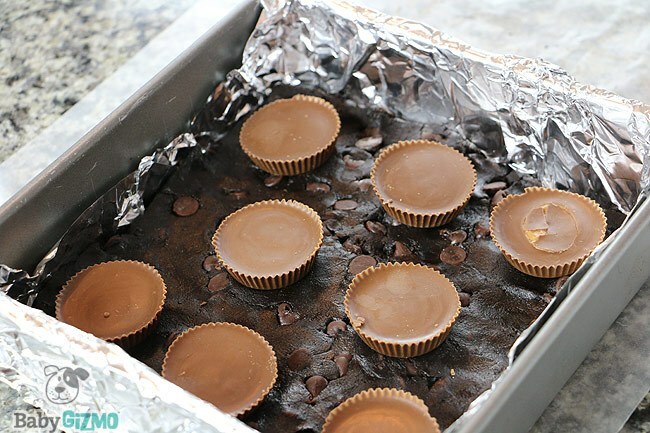 4) Top the dark chocolate cookie layer with 8 Reese’s Peanut Butter Cups spread out evenly. 5) On the same piece of floured wax paper (you’ll need to add more flour! ), roll out the peanut butter cookies into a square about the size of the pan. 6) Transfer the peanut butter cookie layer into the pan on top of the peanut butter cups. 7) With your hands, carefully spread out the peanut butter cookie layer so it is completely covering the bottom two layers. 8) Bake for 20-25 minutes. 9) Cool completely and enjoy!